Kentucky kicked off the Week 11 weekend schedule with its Thursday game versus LSU. Check out the rest week 11 weekend schedule below with probable starters listed when available. Series of the week: Murray State University vs. Southeast Missouri St.
Murray State University welcomes second-place Southeast Missouri St. to town this weekend in a series that is bound to have big implications in the Ohio Valley Conference race. SEMO is in second place in the OVC race with an 8-5 conference record, and Murray St. sits in sixth place with a 5-5 conference record. The Breds are just two games out of first place but must jump over five teams to take the conference title. That goal may be a long shot, but a series win versus SEMO this weekend would be a step in the right direction. 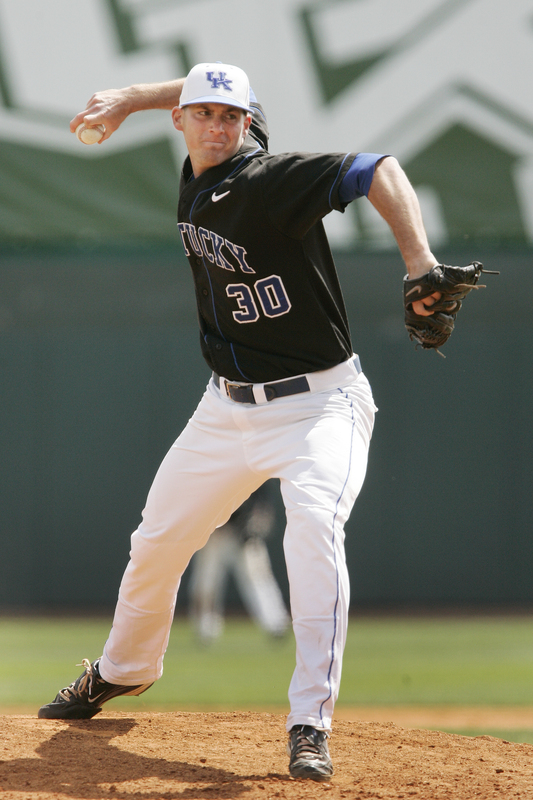 University of Kentucky junior right-handed pitcher Alex Meyer steps onto the national stage tonight with a start in the Thursday night Southeastern Conference game of the week versus LSU. Meyer, the reigning SEC pitcher of the week, is 4-5 with a 3.27 ERA to go with 81 strikeouts and 36 walks in 71 and two-third innings this season. If UK has any postseason aspirations it needs Meyer to continue to pitch like he did last week in a complete-game shutout. A strong start on ESPNU tonight would also boost his national reputation in advance of the draft this summer. After both Western Kentucky University and the University of Louisville were included in national college baseball writers’ NCAA tournament projections at various points this season, neither school was included in the latest projections. UofL may have played its way out of any hope of an at-large bid with a 2-8 stretch in its last 10 games. WKU could still earn an at-large with a strong finish to the season, but a sweep by Sun Belt Conference-leader Troy last weekend was a major blow to the Hilltoppers’ at-large hopes. WKU sits in a three-way tie for third-place in the Sun Belt but would likely need to finish in the top two for an at-large bid. Austin Peay weekend starting pitchers Jeremy Dobbs, a Daviess County High School alum, and Jack Snodgrass, a Bowling Green High School alum, return to the Bluegrass State for a weekend series versus Morehead State University. Snodgrass ranks second in the OVC with a 3.57 ERA but has just one win on the season. Dobbs ranks sixth in the OVC with a 4.05 ERA and boasts a 7-2 record in 11 games. Dobbs leads the conference with 52 strikeouts. Snodgrass has yet to surrender a home run in 45 and one-third innings this season. Western Kentucky University, Murray State University, Eastern Kentucky University and Morehead State University all canceled their Wednesday games due to rain. The Lexington Legends, Bowling Green Hot Rods and Louisville Bats were also rained out on Wednesday. KHSAA has released its the regional matchups for the 2011 state baseball tournament. 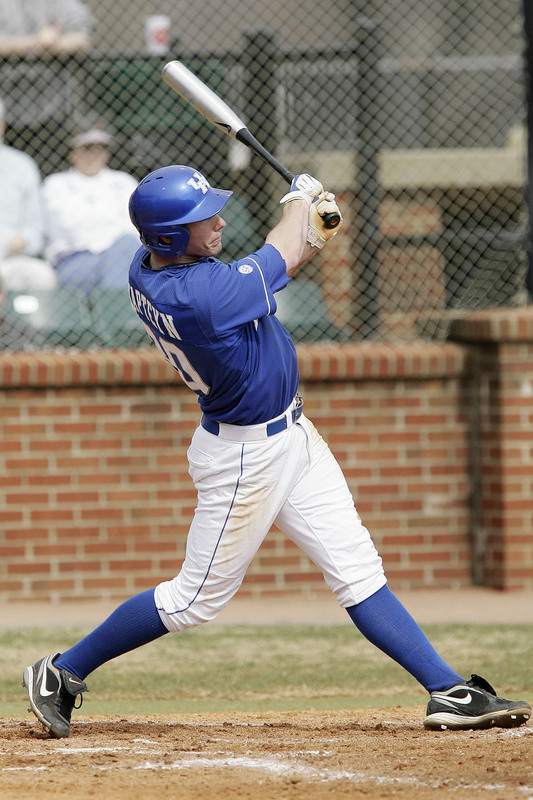 Baseball America profiles WKU junior outfielder Kes Carter in its latest “Draft Tracker,” noting Carter could be selected as high as the second or third round in the 2011 draft. 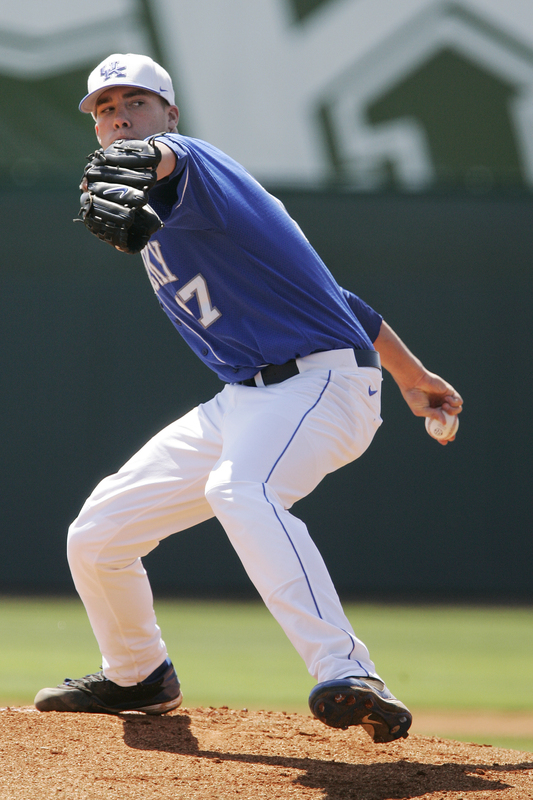 The University of Kentucky scored three runs in the first inning and rode a strong start from sophomore right-handed pitcher Jordan Cooper to a 7-1 win over the University of Louisville. Cooper earned his third win of the season after surrendering one unearned run on five hits in six and two-third innings while striking out five batters and walking three. The Cats batted around in the first inning with senior shortstop Taylor Black, freshman right fielder J. T. Riddle and junior catcher Michael Williams tallying RBI in the inning. UofL redshirt sophomore right-handed pitcher Mike Nastold took the loss in his first start since being demoted from the weekend rotation. Nastold surrendered four runs on five hits in two innings while walking two batters and striking out none. The UofL offense did not tally a hit until the fifth inning and plated its only run in the seventh inning after tallying three infield hits in the frame. UofL freshman first baseman Ryan Seiz was the only UofL batter with multiple hits and finished the game 2-3 with one walk and one run scored.